NCR Corporation, a global leader in omni-channel solutions has unveiled its SelfServ Select Edition (SE) Cash and SE Recycle ATMs, that will help financial institutions (FIs) to expand their reach and serve the more than 19% unbanked population in India. This new, small-footprint ATM technology from NCR is designed to enable banks to offer access to cash in remote, previously underserved locations. India remains overwhelmingly a cash economy with more than 50% of all retail transactions completed using cash – an estimated 18.5 billion will be withdrawn from ATMs in 2018 alone. That number is estimated to reach 26 billion by 2022. 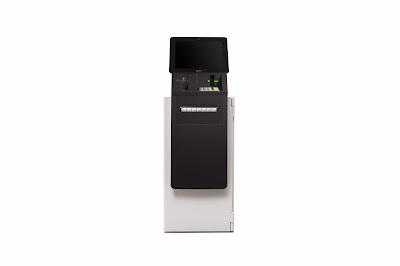 Powered by NCR’s intuitive CxBanking software, that unlocks amazing consumer experiences across physical and digital banking channels, the Select Edition ATMs will enable FIs to easily connect consumers with cash while providing greater levels of security, improved uptime and ease-of-use. Additionally, the Biometric recognition feature ensures easy and secure consumer authentication in rural areas facing literacy challenges. The addition of NCR SE Recycle ATMs, together with NCR OptiCash cash management and forecasting solution, will help Financial Institutions to improve ATM availability and optimize costs by reducing cash replenishment visits, as well as lower cash handling costs and reduce the amount of ‘idle’ cash. In addition, the new recycling ATM will enable consumers and small business to make accurate and secure real-time cash deposits.